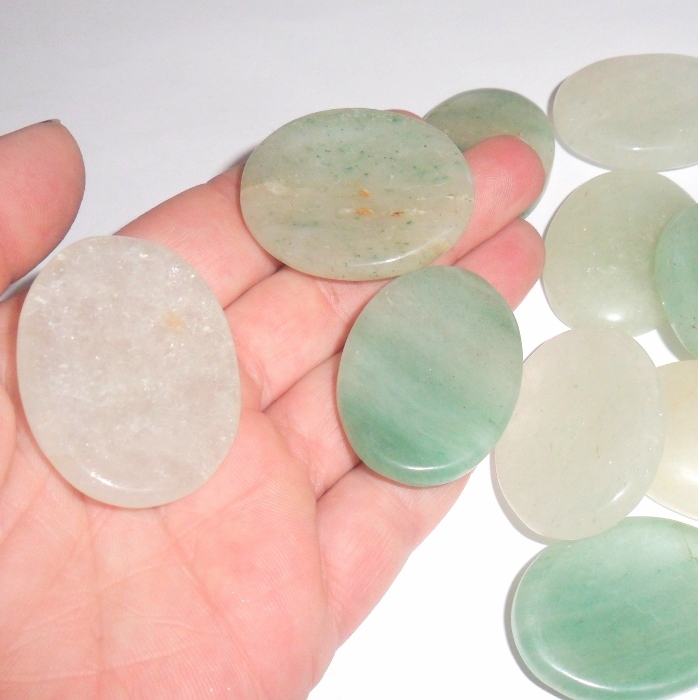 A green aventurine worry stone. Green aventurine is the ideal gemstone for attracting wealth, luck, and prosperity energy into your life. 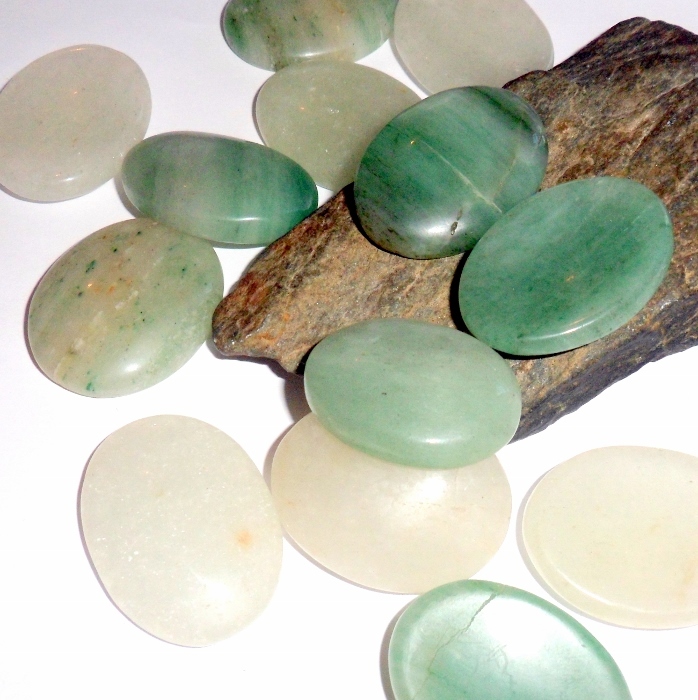 Green aventurine is a gemstone of luck and good fortune, confidence and optimism. Worry stones are smooth, polished gemstones in the shape of an oval with a thumb sized indentation. They are also known as thumb stones or palm stones. They originated in Ancient Greece. The first worry stones were simple rocks that had been worn smooth by the sea. Held between the index finger and thumb, rubbing them creates feelings of calmness and reduce stress levels. 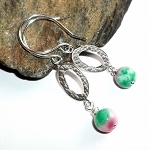 Each stone is approximately 1 1/2 inch by 1 inch. Price is for one worrystone. These have a lot of color variation, some are very very pale green, some are deeper green.